The show, designed and produced by ACCIONA Producciones y Diseño (APD) with the title Spain today, a new vision of Spanish talent, set out to promote Brand Spain by highlighting its greatest qualities and unique features in a mapping spectacle that used new technologies to combine 3D images, sound and special effects. 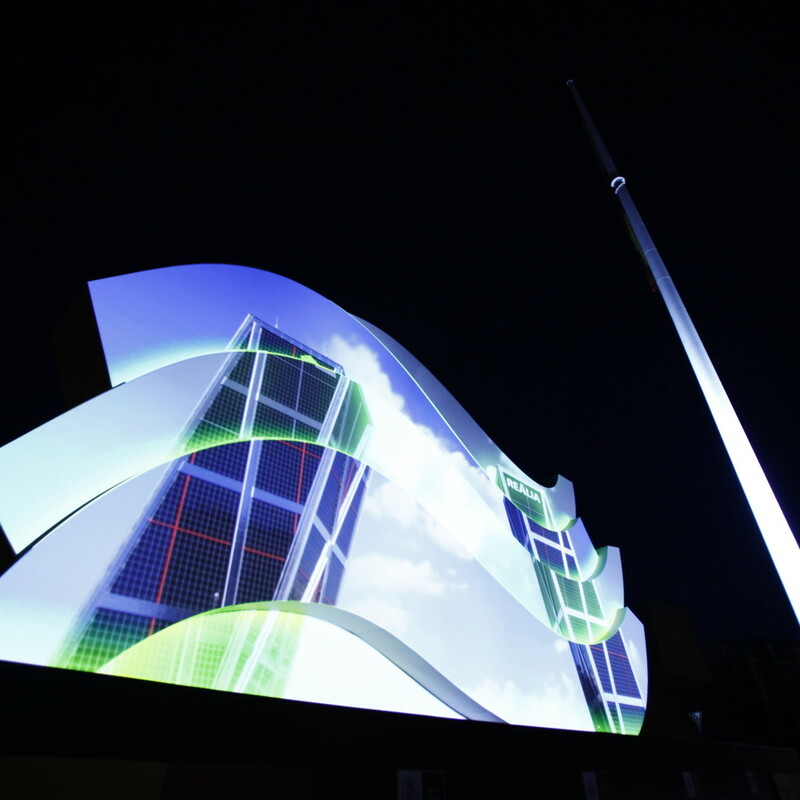 The audiovisual show – which lasted 8 minutes – was projected onto a large undulating structure 13m long by 9m high. It evoked the Spanish letter ‘ñ’ and shows modern-day Spain through some of the best examples of the country’s artistic, cultural, industrial, business, technological, gastronomic and sports heritage. ACCIONA Producciones y Diseño used six projectors of 20,000 lux each and 22,350 watts of sound. 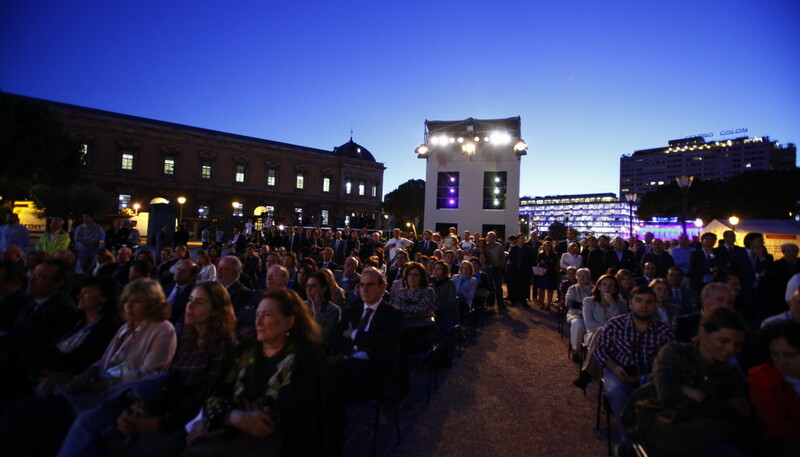 The show has previously been seen in Berlin during the German-Spanish summit that took place in early September, and was attended by German Chancellor Angela Merkel and Spanish Premier Mariano Rajoy, and in Barcelona during the World Mobile Congress. This latest audio visual version is presented with much greater emphasis on Madrid and its cultural reference points. It was the first time that the people of Madrid had the opportunity to enjoy, free of charge and in the open air, a large-scale mapping show designed and produced by ACCIONA Producciones y Diseño, which is a benchmark company in Europe in ‘cultural engineering’ spectacles designed to highlight the best features of a particular society or place through the use of state-of-the-art technologies. In line with ACCIONA’s overall commitment to sustainability, the event is ‘carbon neutral’, in other words, the CO2 emissions generated by it are calculated and then offset in a clean energy project to ensure that the final emissions balance will be equivalent to zero.